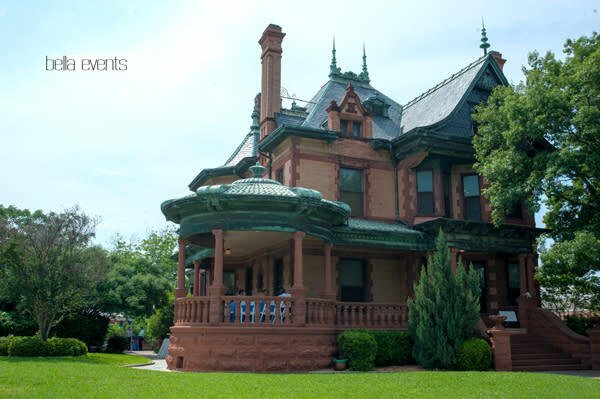 Built in 1899, Ball-Eddleman-McFarland House is Fort Worth's premier example of Queen Anne-style Victorian architecture. Turrets, gables, copper finials, a slate tile roof and a porch of red sandstone and marble highlight the late-Victorian exterior. The interior includes original ornate oak mantles, cornices, coffered ceilings, paneling and parquet floors. The house is available for individual and group tours. 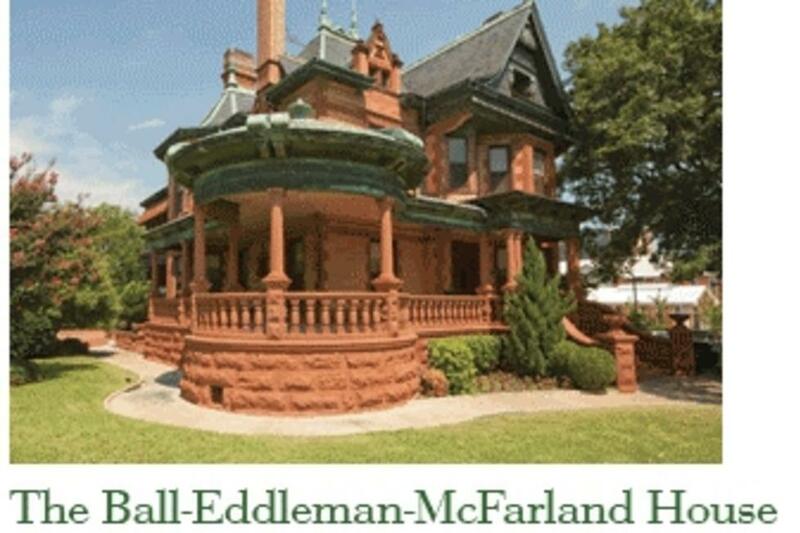 Description Built in 1899, Ball-Eddleman-McFarland House is Fort Worth's premier example of Queen Anne-style Victorian architecture. Turrets, gables, copper finials, a slate tile roof and a porch of red sandstone and marble highlight the late-Victorian exterior. The interior includes original ornate oak mantles, cornices, coffered ceilings, paneling and parquet floors. The first floor, terrace and grounds of this exquisite Victorian home may be reserved for corporate parties, social events and weddings. Your guests will appreciate the beautiful setting located between downtown hotels, art museums in the Cultural District and the historic Stockyards. 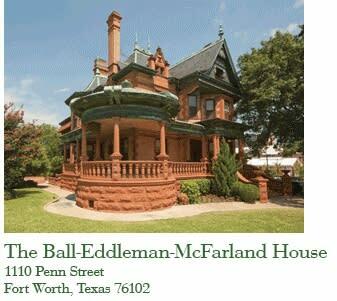 Easy access to the Ball-Eddleman-McFarland House from downtown and Interstate 30.